We receive major pedagogical grant from Wabash Center! Thanks to a generous grant from the Wabash Center for Teaching and Learning in Theology and Religion for 2016-2017, the department of religious studies will enhance and institutionalize engaged learning practices focused on interreligious encounter. We expect that every graduating Religious Studies major will have experienced at least one interfaith engaged learning practice. 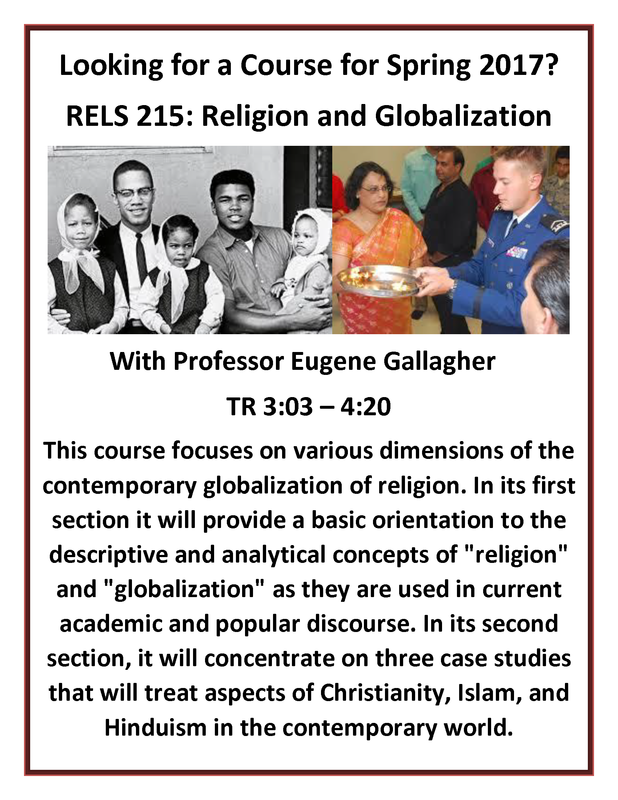 How can our department develop interreligious encounters as an engaged learning practice in a liberal arts context? In other words how can we improve our delivery of a certain form of learning experience (“High Impact Educational Practice”) that is congruent with our department’s culture, our college’s mission, and trends in higher education in general, that also deepens a certain content of learning experience (interfaith or interreligious encounter) that our students have been demanding of us? – A March 2017 summative conference highlighting reflective pedagogies based on religious studies students’ specific high impact learning experiences. It will be open to the public and feature short joint presentations by students, mentors, and community partners from College of Charleston and other religious studies programs in the Southeast.